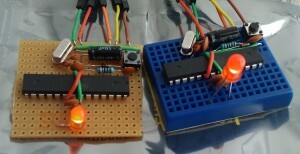 A Shrimp is great for deploying your first interactive inventions, doing physical computing using sensors and actuators. It is programmed using the Arduino IDE, and thinks it's an Arduino Uno but is much cheaper, and teaches more electronics fundamentals. You can use it in a whole world of projects. Detailed instructions are provided to show how to build a Shrimp circuit for those getting started. The kit page has details of the components you need and wholesale supplier information if you don't want to buy pre-bagged retail kits from us. 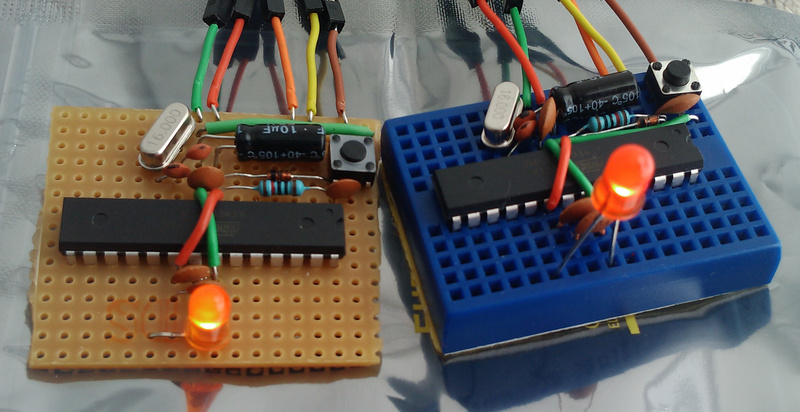 You wire up a Shrimp by pushing components into holes in a solderless breadboard. We provide detailed documentation for basic shrimp wiring configurations, as well as curating a series of prepared projects which take Shrimp prototyping a step further. Each of our builds is supported by step-by-step wiring walkthroughs, software installation instructions and component sourcing information. Thanks to the Arduino community for the amazing foundations on which the Shrimp and @ShrimpingIt projects are based. Thanks to Fritzing for vector graphics elements. Flickr user Adam Greig for cover image.